I'm so happy. 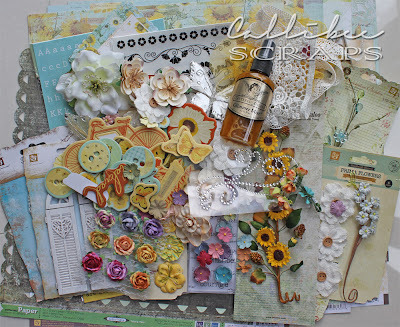 Last week, I entered one of the amazing giveaways that My Creative Scrapbook was doing on their blog, and guess what? I won their first prize. Based on their June main kit , there were Prima papers and a huge amount of flowers, chipboard, trim and even a bottle of Glimmer Mist. I am in heaven. I'll be doing a layout (or two) very soon with this new bounty. Thank you so much MCS! 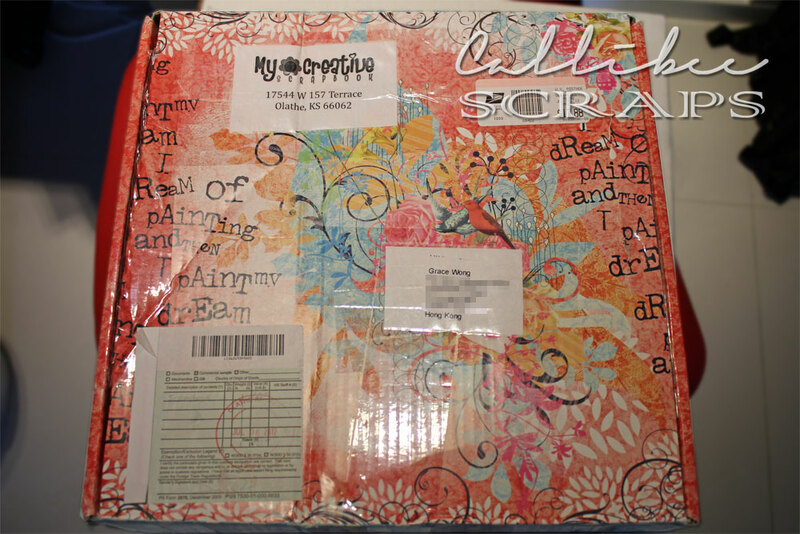 So happy I squealed on getting this box from my friendly postman. 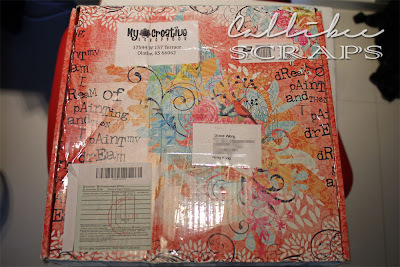 The box itself is so pretty (I believe it is a Prima box) and will probably recycle it in a project. Can't resist showing off the bounty that was inside.